Cats love to hide under things. This monotype depicts a tabby cat peeking through a blanket. 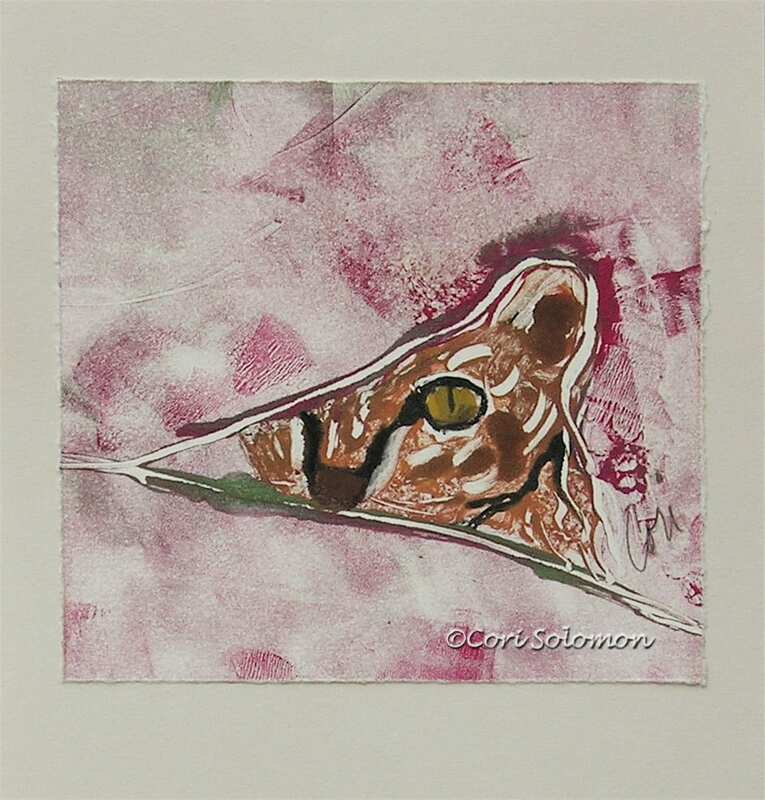 To purchase this cat hand pulled print email Cori.